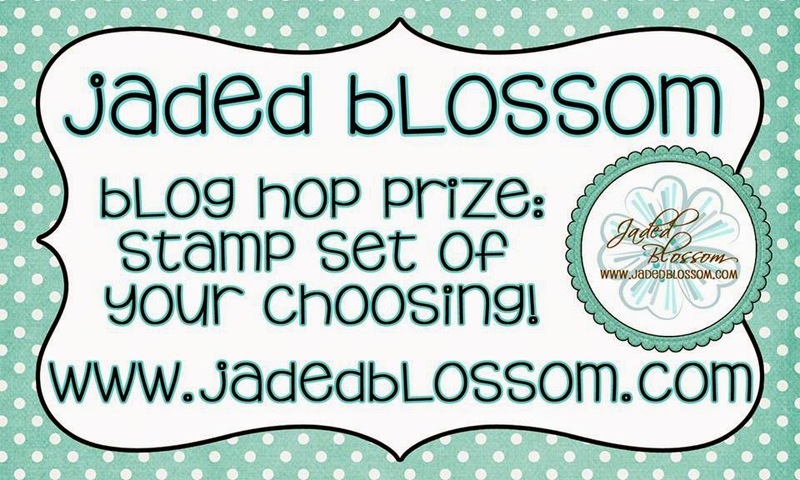 Welcome to Jaded Blossom's February 2017 Release Blog Hop. Here is what I made for the hop! For the Clover Card, I used Heart Dies 1 and 2 to make the clover. 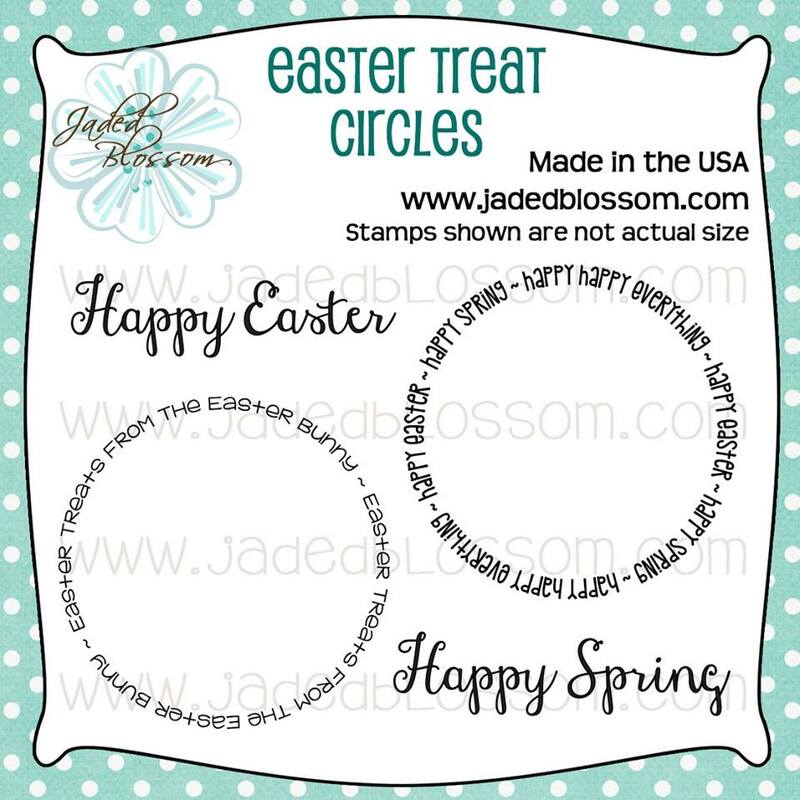 The stem is the stem from Dandelions stamp set. 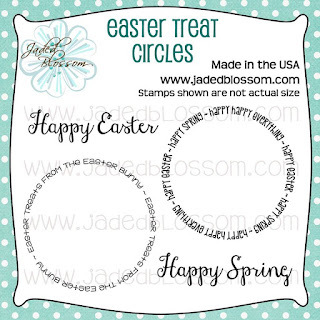 I also used Rectangle Dies 1, Card Mat Dies and Spring Dies 1 version 2. I also used Paint Splatters 2 and Spring Paint Splatters to create my background. For my treat bag I did my new favorite thing- I EMBOSSED my die cut. If you haven't tried this yet, you need to! I didn't have any pretty gold paper so I used a warm orangeish cardstock then used my versamark ink pad to ink it up, then placed my gold embossing powder all over it. I LOVE how it turned out! 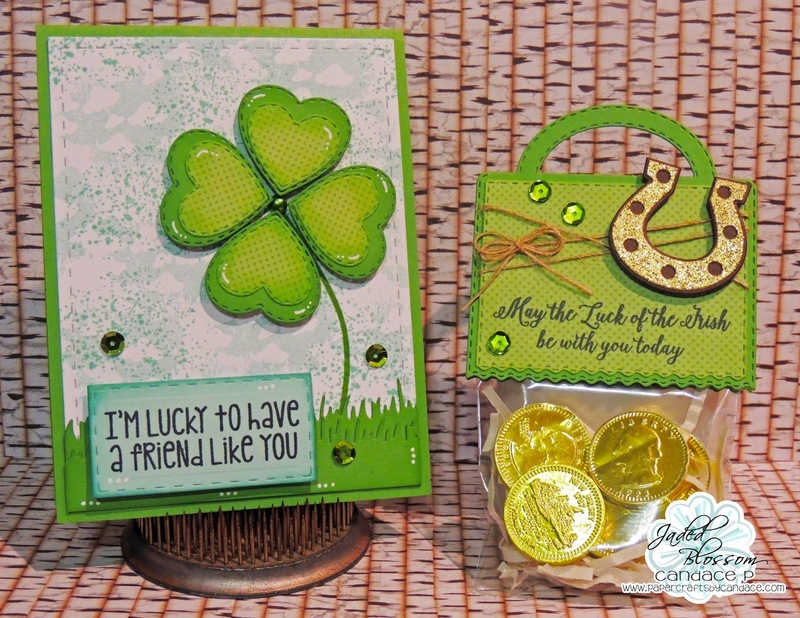 Here is a close up..
For my treat bag I also use the new Ric Rac Topper Die, Go Green Stamp set and St Patricks Day dies. Wow!! Awesome projects!! Love your clover out of hearts, so creative!!! GET OUT!!! I love how you did that with embossing---brilliant!!! I love your projects! Brilliant use of the heart dies! I wish I would have thought of that LOL! 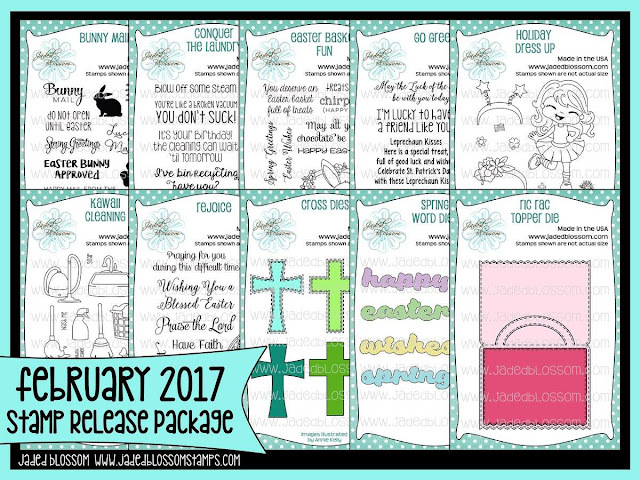 The embossing looks fabulous! 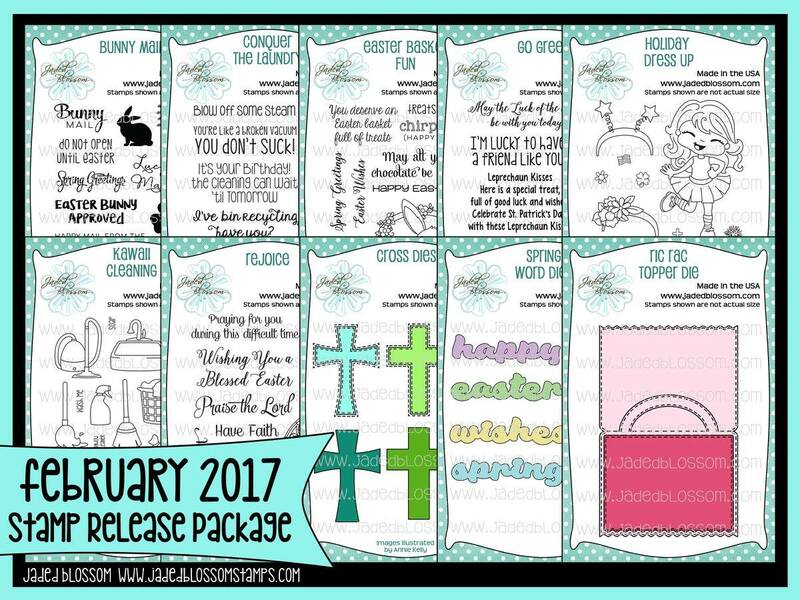 I loved playing with all the stamps and dies of this release!! I like your lucky projects and especially the sparkly horseshoe. Super cute way to share candy and goodies!!! Love your projects! That treat topper is awesome! I love your card and treat topper. I love how you embossed your paper, great idea!! just so so adorable! great projects! So cool! Love the 4 leaf clover you made with the Heart Dies. Great projects - love all your new release projects. Adorable card and Treat bag topper. Love the details on both of them. 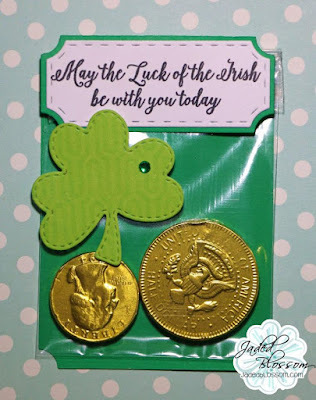 I love your card and how you used the hearts to make the clover, super! 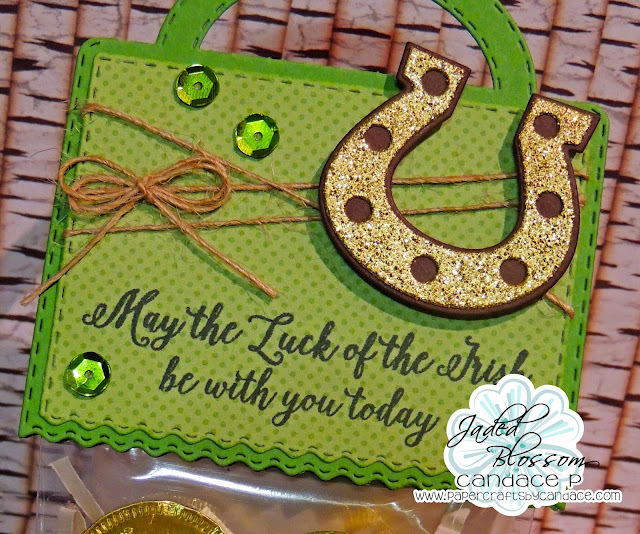 Love how you embossed the horseshoe to make it the shiny gold for the topper! I love the topper with the handle! wow, both are terrific projects! very cute , love the shamrock made from the heart dies very cute ! Your card and treat bag are super adorable! Wonderful projects. I'm really digging that horseshoe. Awesome projects! Love the clover card from the clover made from hearts to the background. It's fantastic!! !